"The Queue" by Elizabeth Nagle, of New Canaan, won first place in the prints category in "Inspiration," the juried all-media exhibition at the Rowayton Arts Center. "The Queue," by Elizabeth Nagle, of New Canaan, has won first place in the prints category in "Inspiration," the juried all-media exhibition at the Rowayton Arts Center in Norwalk. "Inspiration" is on display through Feb. 22. 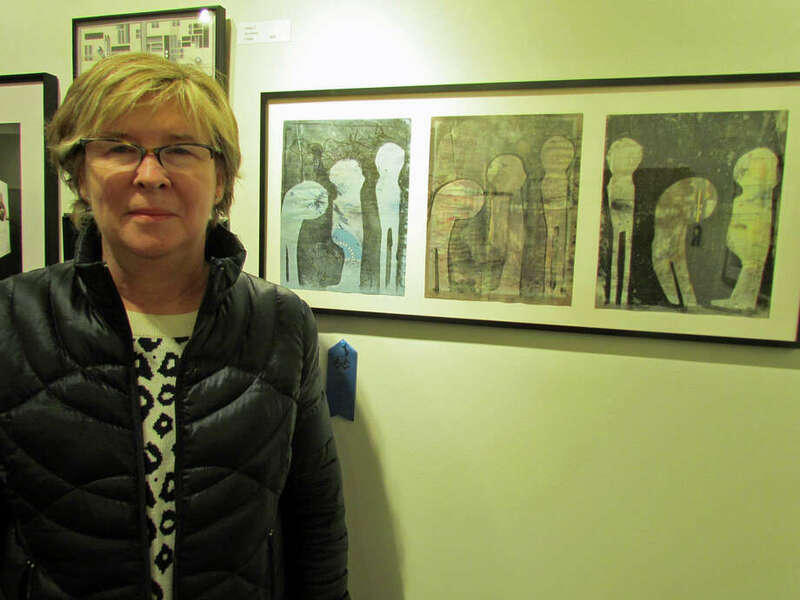 The juror for the exhibition was painter-printmaker Claudia Mengel, who selected 83 artworks from 121 entries. In discussing the exhibition, Mengel said, "The title `Inspiration' conveys to the mind an image that comes from a strong influence. In selecting work for this exhibit, I looked at how the concept of `being inspired' was conveyed to the viewer. The selection varied from known scenes in nature to objects that were repurposed to create new ways of seeing things. I wanted the exhibit to have many different viewpoints. I considered the technical application and expected professional presentation of each piece. The awards for best in each category and best in show are based on addressing the concept as well as excellence in the execution." The gallery, at 145 Rowayton Ave., is open from noon to 5 p.m. Tuesday through Saturday. Admission is free. For information, call 203-866-2744 or visit www.rowaytonartscenter.org.